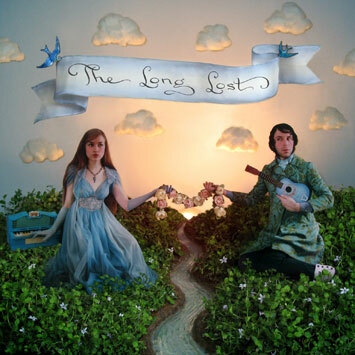 "The Long Lost" is the sound of love - on so many levels and in so many ways that it's hard to list them. Imagine if Nico had left the Velvet Underground and decided to relocate to California with Caetano Veloso. And imagine if, once there, the pair slipped through a time portal whilst high on mescalin and came round in the late noughties, with the kind of production twists that would allow. Imagine most of all that what they made was beautiful, an attempt to write and make a new popular music about love that was completely sincere, utterly lacking in guile and full of all the queasy, wonderful, sometimes awful emotions which overwhelm us in those times. From opening single "The Art of Kissing," the mood is set. Acoustic guitar, brushed drums, Laura on lead vocals, Alfred backing up on choruses. It's a pitch perfect template from which the group expand into edges of psychedelia ("Sibilance"), ribbons of bass clarinet ("Overmuch"), epic '40s film score ("Ballroom Dance Club" - see below for its significance! - and "Siren Song"), bass simplicity ("Colour"), feline fantasy ("Cat Fancy"), music box melancholia "Finders Keepers"), nursery rhyme romance ("Domestics") and on and on. It's a flexible format, held together by the simplicity and beauty of Laura Darlington's voice - uninflected, almost matter of fact, but full of a strange kind of magic. The Long Lost consists of high-school-sweethearts turned husband-&-wife Alfred (a.k.a. Daedelus) and Laura Darlington. Both hail from Santa Monica, California, where they met in the high school orchestra - he on double-bass and she on flute - and became partners in the ballroom dance club. A fascinating and utterly individual project, The Long Lost take the subject of love away from the cliches and hackneyed wailing of the mainstream and reconnect it to those strange and uncontrollable emotions we're all so in thrall to.